It's been a few months since Hadley started climbing out of her crib and we upgraded her to our old guest bed. After some paint, shelves, a super awesome canopy and some artwork we are officially done with this space! We decided to keep a similar theme from her nursery so we could use everything we already had. We had the walls painted in Gravity by Valspar and used black and white accents, soft pink colors and pops of yellow. There are whimsical patterns throughout the space, which I thought might be a little too overwhelming but I think it came together perfect! If you can't have thousands of colors and patterns in your room when you're (almost) 2 years old, when can you?!!!! I love hanging out in here and snuggling under the canopy :) I think I know where we'll be taking naps with the new babe! Oh and of course, this wild child has been breaking in your crib for you baby girl.. I think she jumped for 30 minutes straight today. Wild locks for a wild gal! We love you Hadley and hope you love your big girl room!!!! Another week come and gone and this babe is still in the oven! The nursery is 99.6% done and I am so happy about it. I love hanging out in there with Hadley and we just can't wait to have our little baby snuggling with us, too. When I first started stalking Pinterest down months ago for nursery ideas I saw this wood art piece that I could not get out my head so I decided to make something similar. I knew I wanted a lot of wood and floral accents in the room so instead of painting something I decided to hot glue silk flowers right on to the wood. It ended up being a super cheap and easy DIY project that I absolutely LOVE! I went to Home Depot to get the wood, stain and stain supplies. They usually have scrap wood for 70% or more off so definitely check the selection there before buying something more expensive! Pretty sure I got the 4 2-foot pieces for under $4. And if they don't have the exact lengths they will cut it for you, especially if you're super preggo ;) SCORE. Start by staining the 4 2-foot long pieces of wood. Take a small amount to test the color in an inconspicuous spot before staining everything. I love how the golden mahogany color turned out and there's accents of it throughout the room. Make sure to shake the stain before using and follow all staining directions. Staining is ridiculously fun (seriously my new craft obsession) but also super messy. I didn't wear gloves but I would highly suggest it! If you don't, use vegetable oil to remove stain from your hands and then wash with soap and water. Once the stain has dried, you can spray a sealant if your piece will be outside or if you want to add an extra layer of protection. I skipped this part because #lazy. Once all the wood has dried you can lay the pieces out to see how you'll want them displayed on the wall. Once you have it set how you like, flip them over and screw the other two pieces of wood into the back. This will hold the planks together so it displays as one large wood piece. You may need a drill for this part. Drill 4 holes down each piece of wood and then follow with the screws. Before you drill the screws in, double check that they are long enough to go through each piece of wood but not too long to where they will poke through the front. Once your piece is assembled it's time to get crazy with the glue! 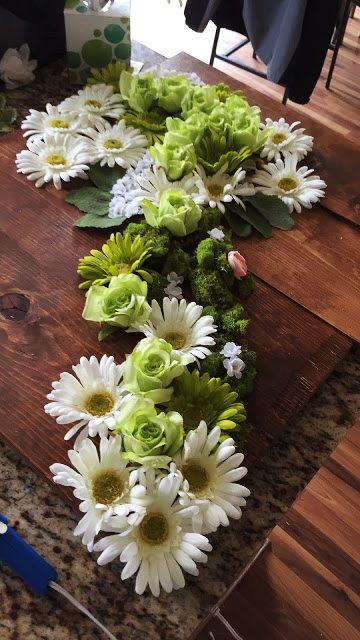 I trimmed all the flowers to make sure they would lay flat and then laid them out in the pattern I wanted. Once I had an idea I started gluing. Also, look around your craft store for other floral options like this awesome moss.. definitely my favorite part! I LOVE having something large and 3-dimensional hanging on the walls. It really takes the space to another level and anyone could make this. The best part is you can customize this project so easily. Make yours larger, smaller, darker, lighter, create any pattern and use any colors. The options are limitless! I can't wait to show you guys the rest!!!! It has been a HOT minute since I've updated the shop so I figured I better get on it before this babe pops out!!!!! I've been doing a lot of custom work over the last few months.. some illustrations, some graphic prints and lots of wedding-related invitations. I love doing custom requests because it forces me out of my comfort zone and usually the final product ends up being some of my favorite work. I'll be adding more things over the next few weeks but let's start with some fun new prints! 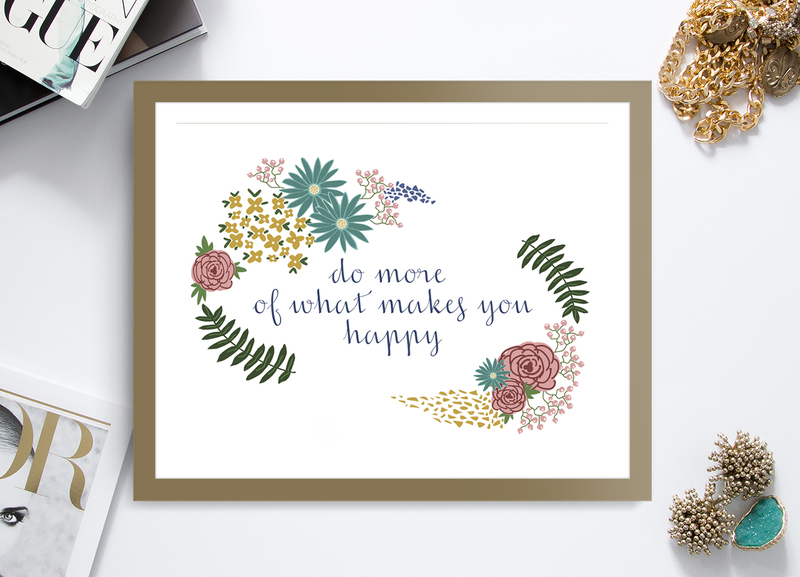 This floral print is the perfect way to get things feeling like Spring in your space. And added bonus, shouldn't we always be reminding ourselves to do what makes us happy?! The flowers are all hand drawn and you can print this and all other prints in any size you want if you purchase from the shop (5x7, 8x10 or even 16x20 poster!). My good friend, Katie, commissioned this print and had it done on canvas for her kitchen. It looks amazing and now I want a canvas of every single one!!! 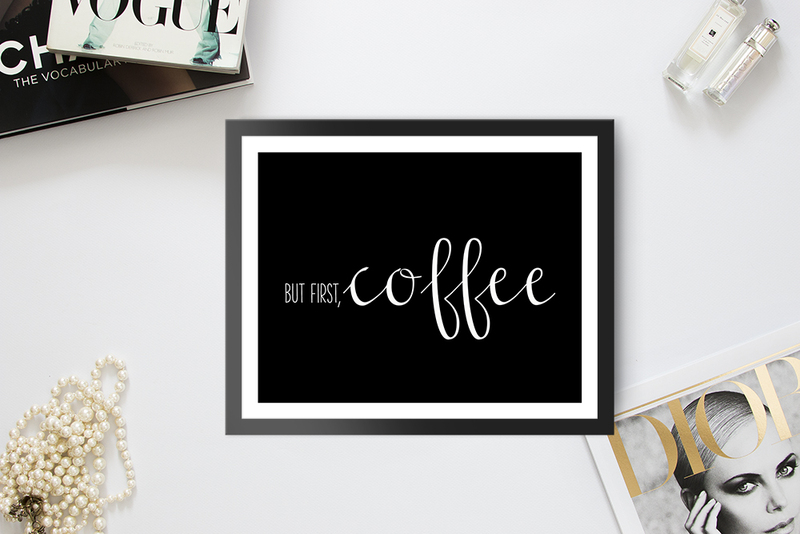 Find your coffee-spiration in the shop here. 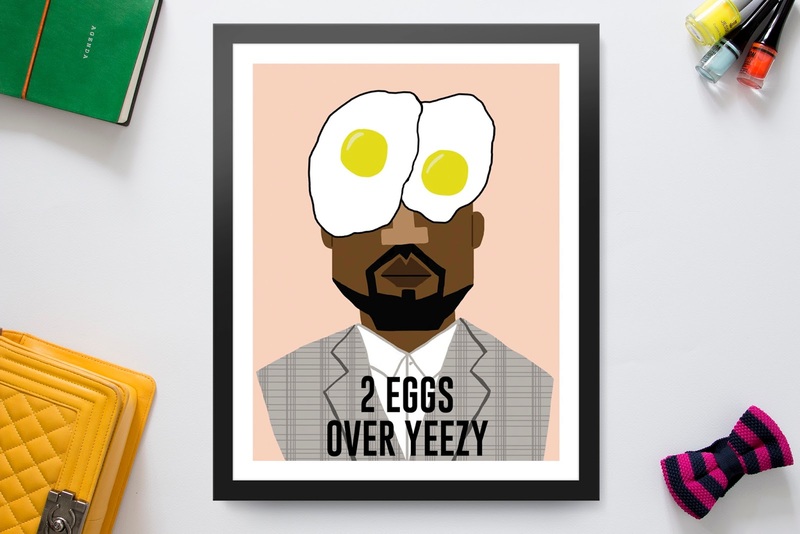 And now for my personal favorite, 2 Eggs Over Yeezy. One of my best pals came to me with this idea from another drawing she saw and asked me to recreate it in my own style. When I first sat down to draw Kanye West.. it was a little bit challenging. How can one recreate such punny genius?!!!! But in the end it came together and I could not be more obsessed with this collaboration brought to you by Brunch & Yeezy. I've even got him hanging among my gallery to remind me to always order my eggs over yeezy. And really, no one else could hold up next to Tom Hanks in a straight jacket circa 1988. Get Yeezy with eggs on his grill here. The latest and greatest to hit the shop. I am still with child. Today marks week 38 and I am feeling real pregnant. Swollen feet, sore hips, a cold and some truly terrible sleep have been the latest and greatest around here, but I know it will all be worth it once I can hold our little nugget in my arms!!! We had such a blast celebrating her over the weekend :) Now I am really, REALLY ready to meet you baby girl!!!! Come to mama!!! I'd like to give a big shout out to my sister, Devon, for putting on such a great party for us! And also a big thank you to my parents and everyone else who pitched in, we love you all! I made this frozen peanut butter banana pie from Sally's Baking Addiction and it was truly TO DIE FOR. 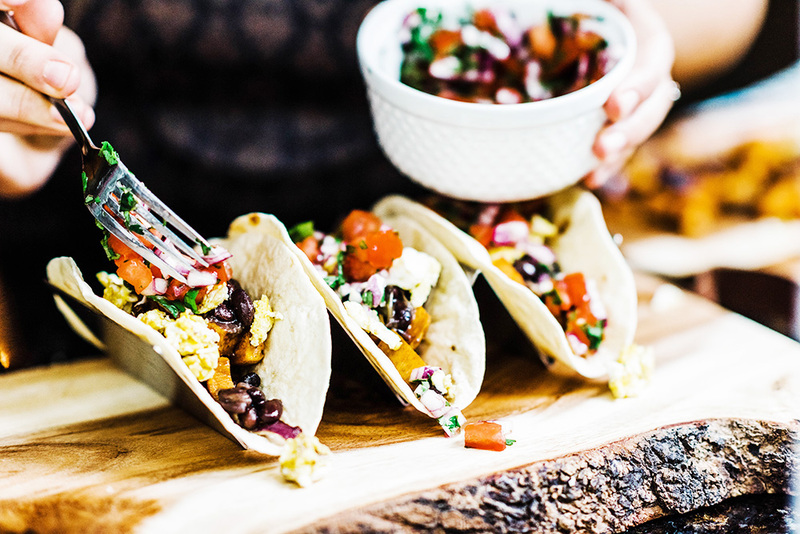 This recipe is featured in her cookbook, which I highly recommend. 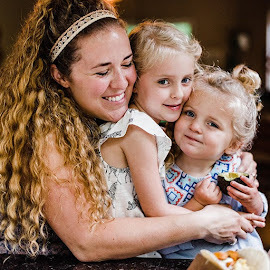 Every recipe I've made of hers has been a hit and most are super easy! Combine the crushed Oreos® and melted butter in a bowl. Press this mixture into the bottom and up the sides of a 9 inch pie dish or springform pan. Arrange the sliced bananas on top of the Oreo crust in an even layer. Using a mixer with a whisk attachment, whip the cream in a medium-size bowl until stiff peaks form (takes about 4-5 minutes). Set aside. Using a mixer with a paddle attachment, beat the cream cheese and peanut butter together in a large bowl until smooth. Beat in the sugar and vanilla extract. Using a rubber spatula, fold in the whipped cream. Spread the peanut butter mixture on top of the banana layer in your pie dish. Cover and freeze for at least 6 hours, or until firm. Once you're ready to serve, remove the pie and let it sit for about 10 minutes. Top with additional bananas, drizzle melted peanut butter and add mini chocolate chips if you're feeling frisky. As for the cocktails, I wanted to do a Bloody Mary bar along with something else a little more Springy that I would have devoured had I not been with child ;) Instead of the classic Mimosa brunch drink, I decided a Grapefruit Rosemary Champagne Fizz was just the ticket. Unfortunately I didn't get any great pics of the drink set up (thank you Devon for sending me this only one!) so all you get is this poor dead baby floating version. Have you played the my water broke game? This would all make more sense if you know what I'm talking about... it's real unfortunate these things float face down. Just wrong I tell you! ANYWAYS, you can find the champagne fizz recipe here. I had a sip and it was delish!! I can't wait for some cocktails!!!!!! !